I love Christmas and one of the reasons I love it, is because I get lots done up front so I can enjoy all the things I want to do with my family without feeling stressed and under pressure. I also really enjoy getting caught up in the buzz of Christmas too, walking down the high street in the snow in our nearest town to buy some mistletoe or having a sneaky little drop of mulled wine during a lunchtime date or even just nipping in with the crowds for a bargain on Christmas Eve. For this reason I started a little group on facebook called LBUK Christmas 365, where the idea is to share crafts & recipes, make plans, bounce ideas, talk bargains and generally have fun getting ready for the season and having a jolly good natter. As there is Halloween beforehand, we'll also be talking and sharing ideas for that too. 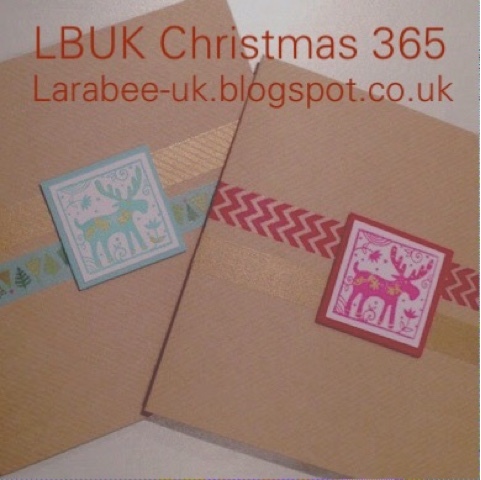 I'm also sharing my LBUK Christmas 365 planner along the way, by Christmas you'll have over 50 planning pages which you can print off year after year and help you better plan your holiday season. So anyone want to join in our little gang? We'd love to have you, whether you are a planning expert whose Christmas is planned with military precision or if you genuinely don't know where to start but want to get more prepared, we'd love to have you. Even pop over to share your homemade gift and decoration ideas and blog posts. And just as a warning, it's called Christmas 365, because I do intend to keep up the group after Christmas and into next year, although I'm guessing posting will have less momentum then.